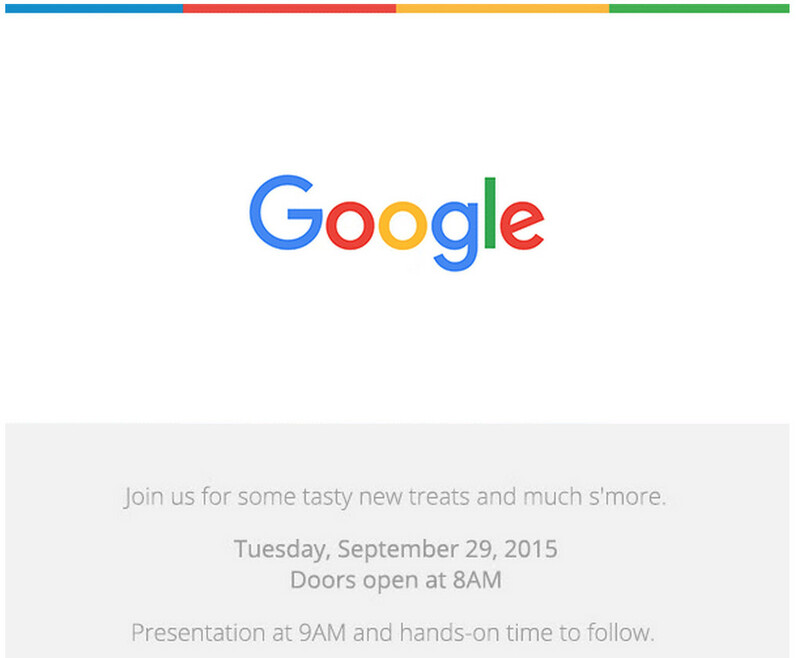 Google have begun sending out announcements for their upcoming event, scheduled to take place on the 29th of September. We’re quite confident we know what the event is going to be about, obviously Android 6.0 AKA Marshmallow will be a major talking point, showcasing some of the new features of the major OS update. Beyond the software, should the leaks and rumors prove true; we can expect two new Nexus devices, one from Huwaei (Nexus 6P) and one from LG (Nexus 5X). Also in the hardware division, Google is expected to unveil a new version of the Chromecast, with some updated specs and connectivity features, as well as 3 new colors. With only 10 days to go to the event, we’re sure to hear a lot more about the upcoming features quite soon, let the speculation (and hype) begin increase.